The ways in which strangers comment and connect online usually gets a bad rap. Perhaps because it’s so easy to take on another identity – or remain anonymous – in order to be vile to another person. A ‘troll’ used to be a goat eating creature that lived under a bridge in the minds of children. Sadly that monster has been usurped by an all too human counterpart. But what of the wonderful instances of selfless acts of generosity and human kindness that also occur online? Well, here’s one for you. 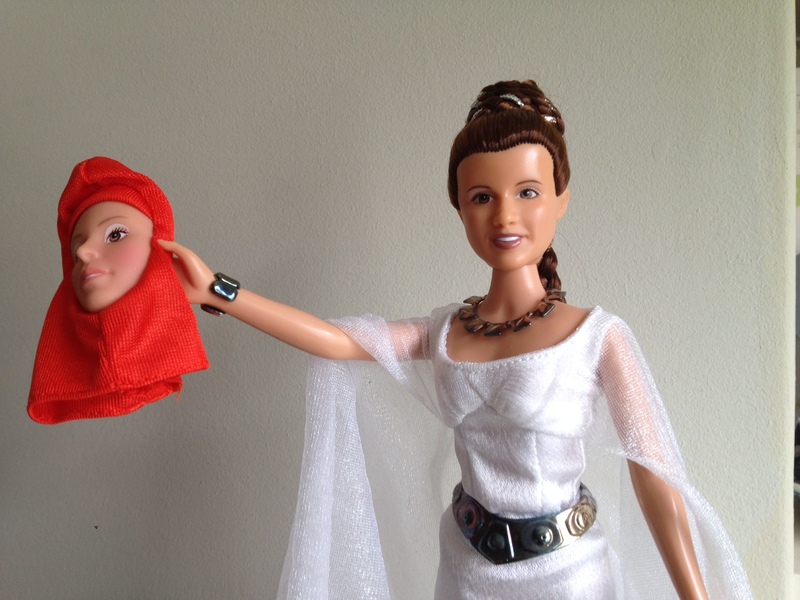 I blogged about the Disney Store’s lack of Princess Leia products, and their absence of interest making any. As the dad of a Star Wars loving daughter, I hoped for some meaningful response from Disney, and there was a muted assurance that they will produce Leia merchandise in the future. Well yes, of course I was interested, so I followed up with Emily via email. The back and forth conversation basically went like this. Emily: I have no problem sending them across the ocean – they’re just collecting dust in storage right now and I’m happy to send them off to a better home. Emily then signed off with these delightful Princess Leia illustrations. 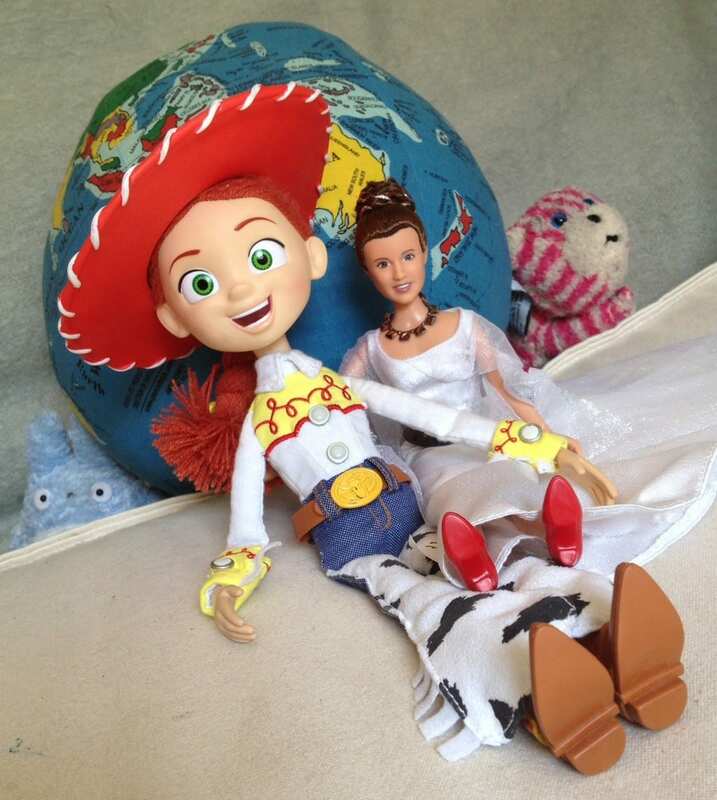 So it was with great relish – and Emily’s permission – that my daughter and I finally liberated these toys from the packaging they had been in for the best part of the past 15 years. It would be a sight to horrify many a Star Wars collector, but delight anyone who gains any happiness from the pure joy of a child. My daugher loves these dolls. She is already swapping shoes and outfits between them. Ceremonial Leia looks pretty good wearing Padme’s large brown boots. ‘Royal Elegance Queen Amidala’s red shoes are a popular interchangeable item as well. There’s also some toddler hairstyling and tea parties happening. Well, this real life Emily didn’t forget about her toys. They may not have been played with, but they were bought out of love (of Star Wars), and passed on for the same reason. According to Buzz Lightyear “(a toy’s) life’s only worth living if you’re being loved by a kid”. Well thanks to their Emily these toys will be well loved by our kid. They are out of their boxes and never going back in! The Emilys of the real world should be celebrated. She reached out to a father and daughter she has never met, with whom she had only had the briefest of online interaction with, and made the great effort to not just simply give us these toys she purchased, but to ship them across the world to us at her expense. It also reminded me of the end of Toy Story 3, when…***SPOILERS*** …Andy hands over his childhood toys to the little girl family friend. That brought a tear to my eye, and I have to admit, this did too. Awesome news, may the force be with you! Oh my goodness, what a truly lovely thing to do! I do hope your daughter enjoys them. Loved this post! My daughter’s also a Star Wars fan. We’re raising our kids right! This is a lovely story. Thanks so much for sharing. That’s made my day! There was a rather intricate and very compelling theory that was blogged about, but I think the filmmakers denied it. What a wonderful story. I was also a big Princess Leia fan (of the ‘proper’ Star Wars films, the first time round). Wow, that is an amazing story and I think you are right Emily is opposite of Troll. Renews your faith in humankind! I hope your daughter gets many years of star wars fun! 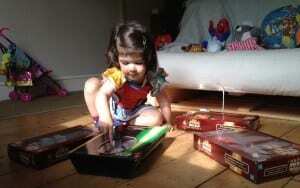 Previous Previous post: Is Father’s Day for all dads, or just the ones with jobs?